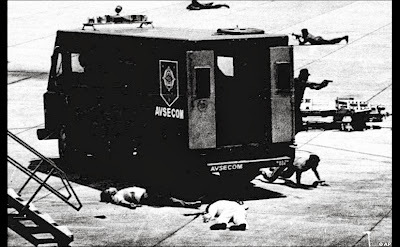 The EQualizer Post: Did Jose Rizal predict Ninoy Aquino and his martyrdom on August 21,1983? 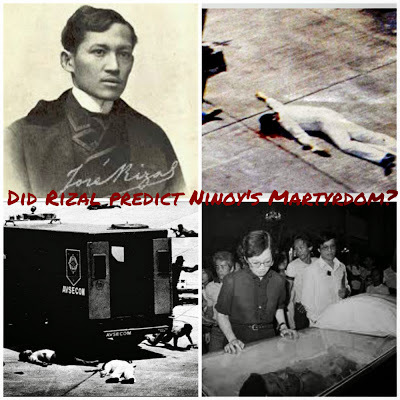 Did Jose Rizal predict Ninoy Aquino and his martyrdom on August 21,1983? The general consensus among Rizal scholars is that his execution by the Spanish government further bolstered the Philippine Revolution. José Protasio Rizal Mercado y Alonso Realonda (June 19, 1861 – December 30, 1896), was a Filipino nationalist and reformist. 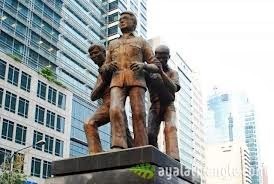 He is widely considered the greatest national hero of the Philippines. Studying in Europe, he was the most prominent advocate for reform in the Philippines during the Spanish colonial era. 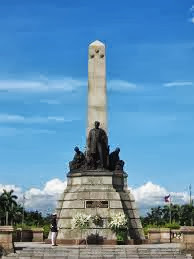 He was wrongly implicated as the instigator of the anti-colonial Philippine Revolution which led to his execution on December 30, 1896, now celebrated as Rizal Day, a national holiday in the country. 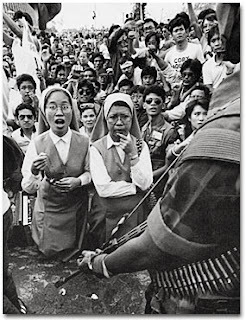 The Philippine uprising in the wake of the 1983 assassination of Ninoy Aquino began a global wave of pro-democracy movements that continues today. 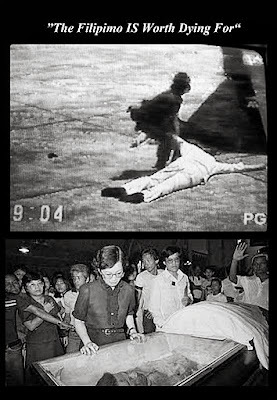 "Where are the youth who will generously pour out their blood to wash away so much shame, so much crime, so much abomination?" "I have spent almost eight long and lonely years in military confinement. 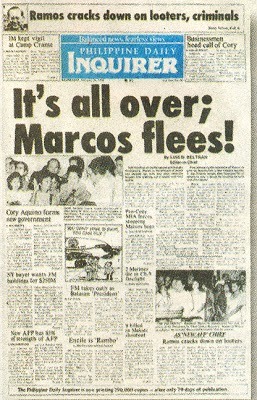 The problem of Martial Rule and its injustices have nagged me all these years.